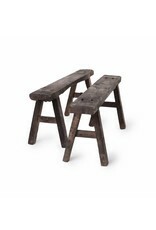 Oude Chinese kleine zwarte bankjes - Old Wooden Stool, authentieke Chinese krukken en bankjes. 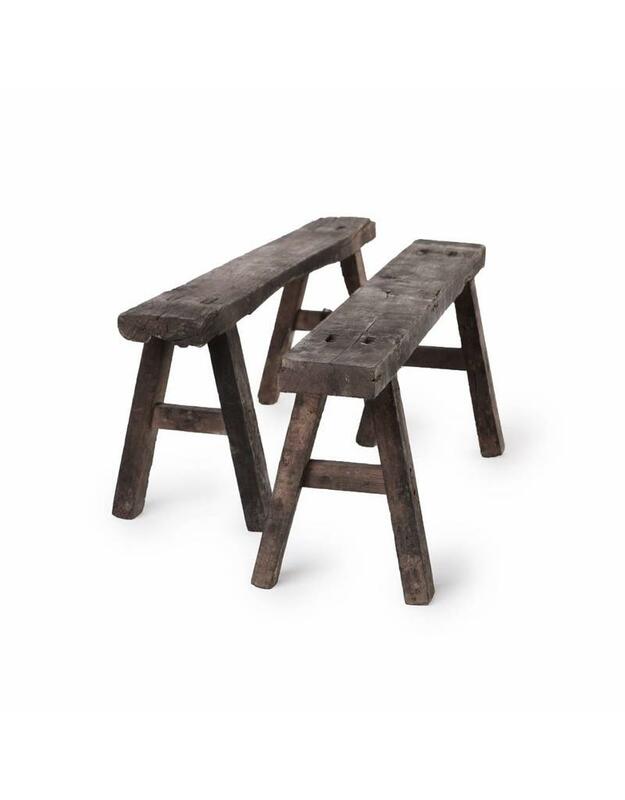 These simple style wooden benches have been popular in China for centuries. They were usually placed in front of homes and used for seating on hot summer days. Most people assume the benches were also used as a seating arrangement around the dinner table. This is not true. Some might have been used for eating purposes, but most were used in a more romantic fashion: it was made for love and music! Sometimes a singer or musician might sit on the bench while his audience would sit on the ground in front of him. Benches were also used for families attending a performance or a couple enjoying a night of music! 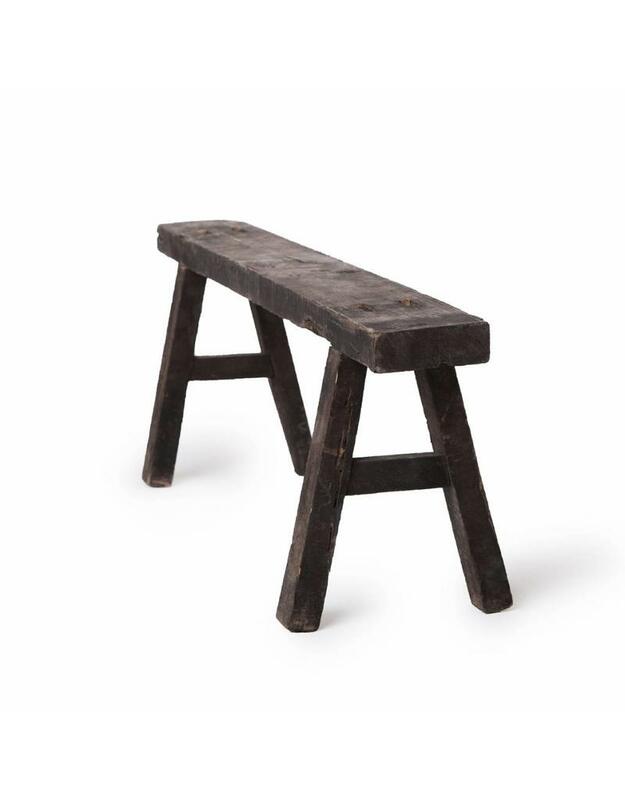 Although the bench would probably have a more mundane function in your interior, the story behind a Chinese bench makes something very interesting out of something so simple! 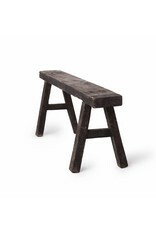 If you wether like rustic- or modern- or a industrial interior, these vintage wooden benches will fit in every interior. Every product we sell is a unique piece, with some wonderful characteristic details. They all have been marked by time, weather and use.